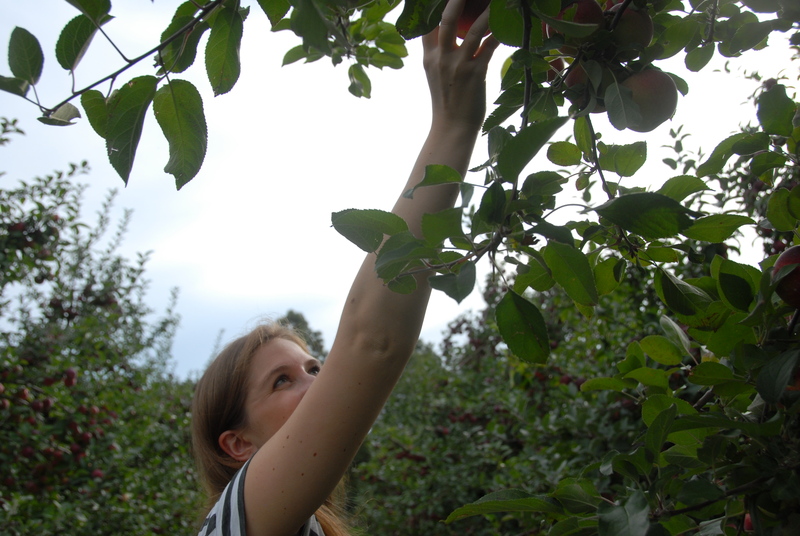 As Hillary mentioned, last Sunday we traveled north to gather autumn’s bounty. Look at these fields! 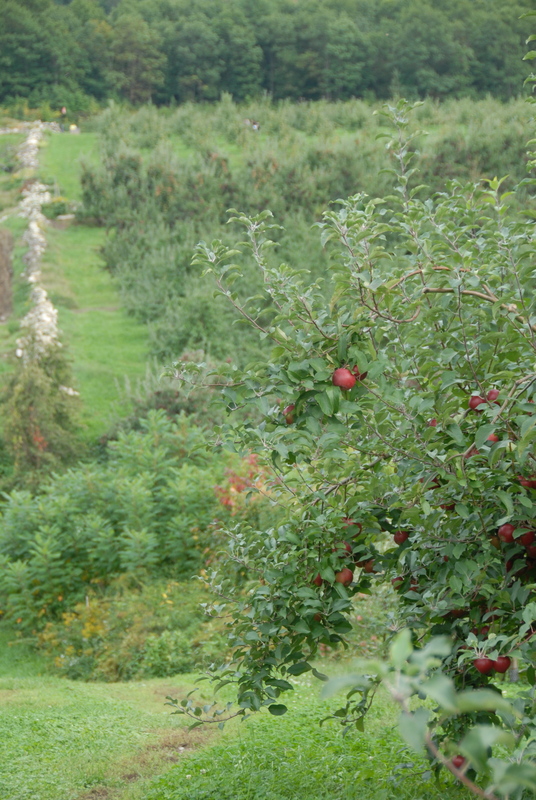 And all those apples! By the way, for those of you who love fall as much as we do, these mulling spices are an absolute must. 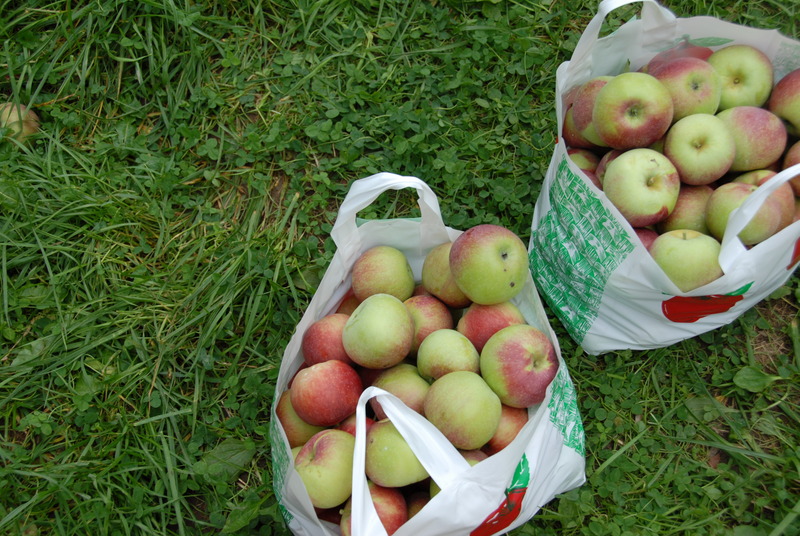 Hillary and I left with not only an absurd amount of apples but we also snagged a gallon or two of cider – ready for mullin’. Now I promise this isn’t turning into a tale of 2 cakes, and next week, whatever our ingredient may be I won’t figure out a way to turn it into a cake… but reading through the Magnolia Cookbook with a warm mug of mulled cider this just sounded too good to pass up! 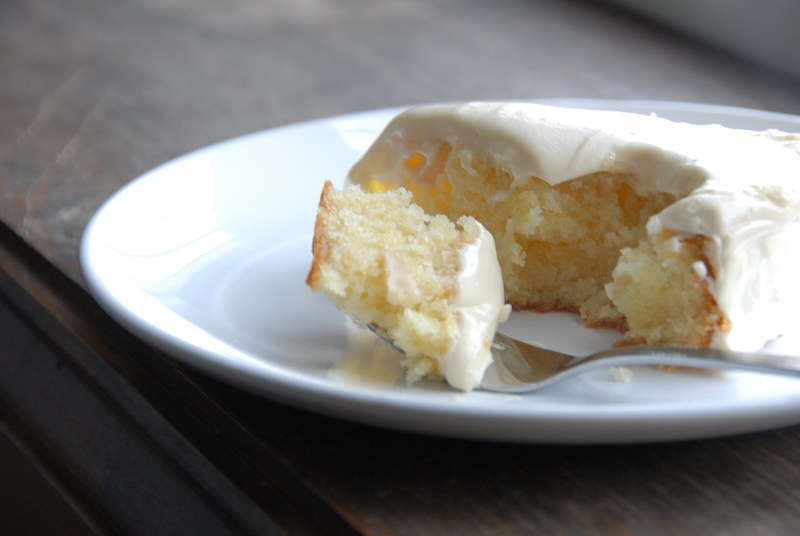 I first attempted to make cupcakes out of the batter but realized that wasn’t going to work….it’s best in cake form. 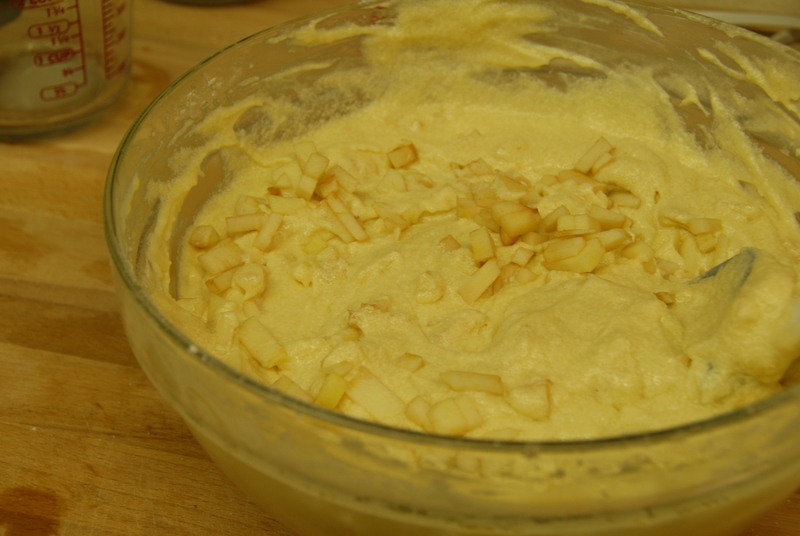 In a large bowl, cream butter, add sugar and beat until fluffy, about 3 minutes. Add the eggs one at a time, beating well after each. 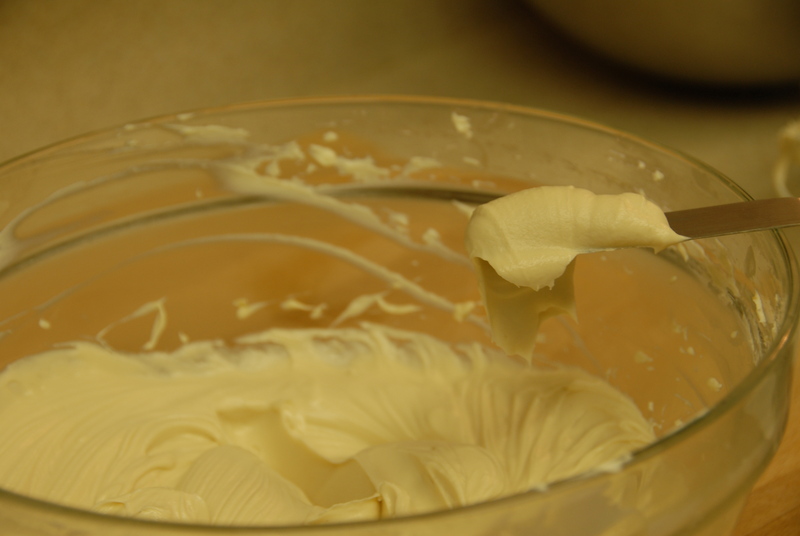 Cream together the butter and cream cheese. Add the rest of the ingredients and mix until well incorporated. Cover and refrigerate for about an hour before icing the cake. At first I didn’t really think this tasted much like butterscotch but after I let it sit, and trying a slice of the the iced cake, I couldn’t get enough of the buttery-sugary-but-not-too-sweet frosting. One cake down, many more apple recipes to go as I continue the quest of diminishing the mound of apples that are piled on my counter and atop my fridge. Happy fall y’all! This entry was posted in Apples and tagged apple, butterscotch, cake, cream cheese, fall, frosting. Bookmark the permalink. Yum! Love the fall dishes! Send some mulled cider south!